Located in the heart of Charlotte, on one of the most scenic streets in town, Paul Mitchell Beauty School Charlotte opened its doors in November of 2010. Our 16,000 square-foot school and salon is located in a three-story white-brick building on Elizabeth Avenue. Although modernized, our facility maintains a quaint look and feel. The surrounding Elizabeth neighborhood has become one of the city’s most fashionable areas over the years. Backed by an expert staff with years of experience, we offer industry-leading education programs to aspiring cosmetologists and beauty instructors. Our reputation for turning students into successful professionals is known far and wide, enabling us to change the lives of individuals in Charlotte and many of the surrounding areas. 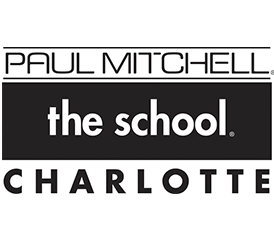 Paul Mitchell the School Charlotte is a top beauty school in Charlotte, North Carolina dedicated to graduating top stylists in a leading nationwide job network.